The quality of our connection to one another is the #1 determinant of how long and how well we live. Science first learned of the biological power of relationship back in the early 1960’s from the people of Roseto, Pennsylvania. Since then, a mountain of research has validated what researchers found there. It’s an amazing story. Forty odd years ago, medical researchers were drawn to Roseto, Pennsylvania by a bewildering statistic that defied medical logic. 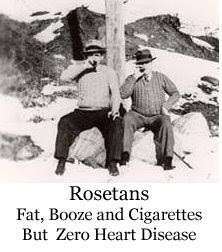 Rosetans were nearly immune to the primary stress-related disease that is the number one cause of death in America – heart disease. Over a seven year period, no Roseto men under 47 had died of a heart attack and the community had half the national death rate. This made no sense, given that most of the men smoked, drank heavily, eat a high fat diet, were poor and did back breaking work in the rock quarry. The researchers could find not biological, genetic or environment reason for their happy prognosis. Then the researchers stumbled across social factors that illuminated something about the character of the people. First, they discovered that there was zero crime rate in Roseto and no one on public welfare, even though the community was poor. The researchers also found that the people were unusually vivacious. “These people,” the report stated, are “happy, boisterous and unpretentious. 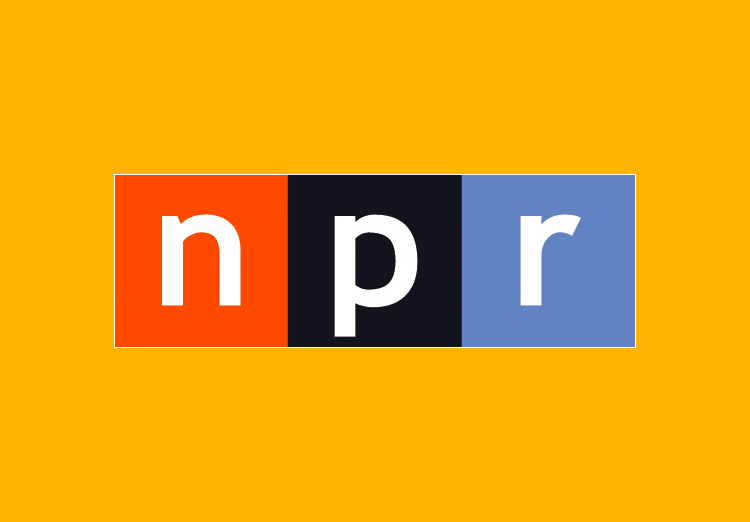 They are simple, warm and very hospitable.” Most striking to the researchers was the genuinely positive regard they held for one another: “When the researchers took a closer look, they found that Rosetans took pride in taking care of their families. Nearly all the homes contained three generations and elders were held in high regard. Mealtimes were much more than a matter of eating. It was a time for the family to gather and to strengthen intergenerational ties. Community events were also common in Roseto. In warm weather, villagers took evening strolls and dropped in to visit one another. As they became more affluent, children went off to college or moved away and the community lost its cohesion. In 1971, the village recorded its first death from coronary disease of a person under the age of 45. The traditional communal experience that enabled people to live longer, healthier lives had eroded. One of the young people who left the village for the big city stated, “I’m sorry we moved; everything is modern here and we have everything we need, except people. Study after study in the last forty years has corroborated what the researchers found in Roseto. It is now a fact. We thrive or fail to thrive based on our quality of connection to others. Robert Sapolsky of Stanford University relates a story about a boy who was severely abused, emotionally and physically. After he became a ward of the court it was discovered that he had zero growth hormone in his bloodstream. 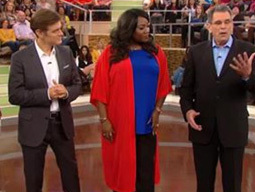 Chronic stress had completely shut down his growth system, threatening his life. We are neurally constructed to connect with one another. The neural network most responsible for achieving our state of connectedness is the mirror neuron system. This mirroring is the neural mechanism by which we can read the minds of other people and empathize with them. “Mirror neurons suggest that we pretend to be in another person’s mental shoes,” stated Marco Iacoboni of UCLA School of Medicine. 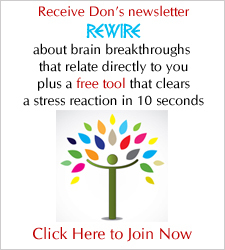 “In fact, with mirror neurons we do not have to pretend; we practically are in another person’s mind. Neurons track the emotional flow, body language, tone of voice, and even the intentions of the person we are with. It explains emotional contagion, instant rapport, instant dislike, and how we play off of one anther. It is why my hostility bumps up your blood pressure and your show of respect lowers mine. It is why biologically, friends are healing, enemies are toxic. The Gallup Organization surveyed hundred of companies and found that seven factors determined sustainability; meaning how long a company would exist. Four of the seven factors related to interpersonal strength. 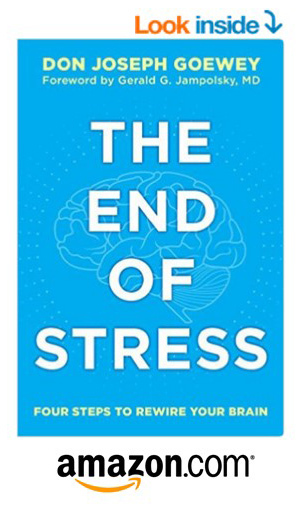 This entry was posted in The Neuroscience of Stress and tagged brain, fear, flow, neuroscience, peace, performance, stress on July 30, 2009 by Don Joseph Goewey.